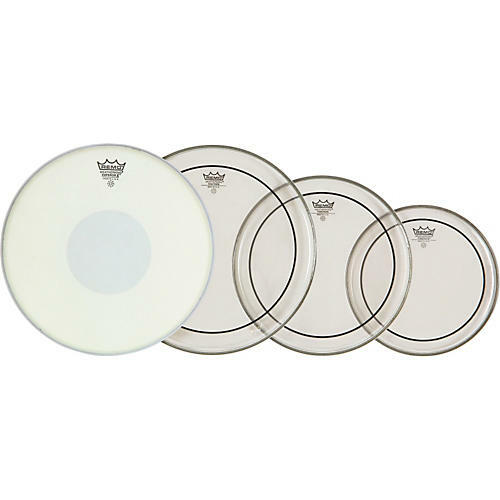 This Remo Clear Pinstripe Fusion Pro Pack offers Pinstripe drum heads with 7-mil Mylar plies with quick decay. Their sound is low pitched with moderate attack and response characteristics. Pinstripe heads are 10, 12 and 14 in. and the free Emperor X snare head is 14 in.